If strollers had theme songs, the Moxi from 4moms would be singing ‘I’ve got the power’. Via the iPhone it’s charging. As you walk at night (because it’s got headlights and tail lights so you totally can). Like the Origami we first introduced you to in 2010, the Moxi has power on board. 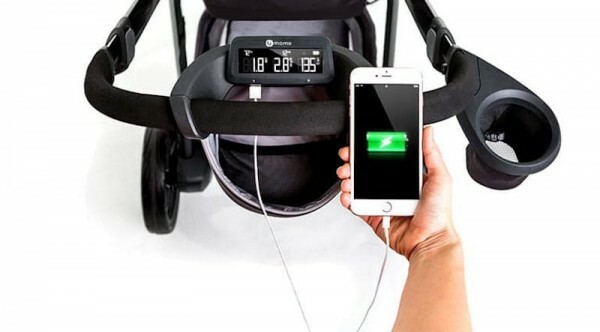 Generators in the rear wheels of the stroller power an LCD dashboard that displays distance, speed, calorie burn, temperature, time and battery level. 4moms has also included headlights and tail lights on the Moxi, a feature that we think is fab. Getting out and about in the winter after a big day at home or work can be a challenge. We love that the inbuilt lights on the Moxi allow you to do just that. Helpful for lighting your path, the lights also mean that you and your baby are visible in the dark. 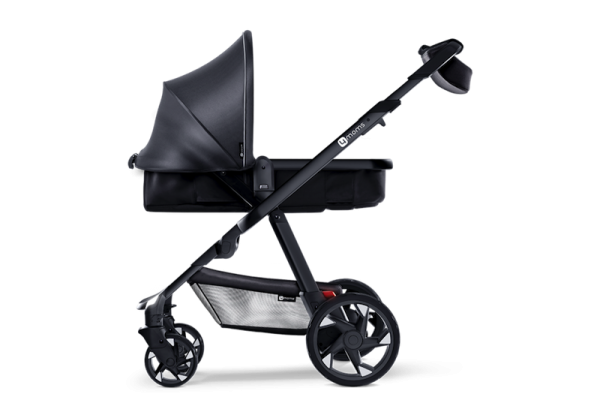 The Moxi can be used from birth to 25 kgs, and has both front and rear facing seating options. Plus, there’s a built in bassinet for newborns. 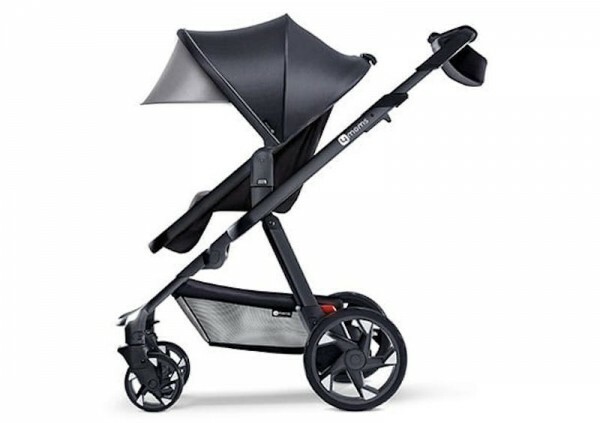 The stroller charges as you walk, and with front and rear wheel suspension, a dashboard basket, a cup holder, a pop-out canopy and an adjustable handlebar there’s really no reason why you’d need to stop! The Moxi will be available from 4moms in the US from October. Sadly, this pram is not currently shipping to Australia – but we will be sure to keep you posted if and when it does!